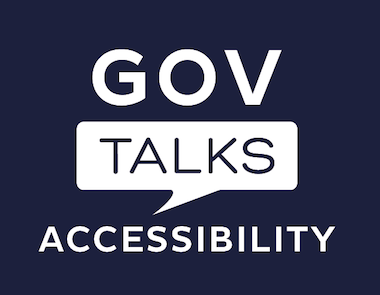 This month we bring you resources from GOVTalks: Accessibility, a workshop hosted by our partners from the Georgia Technology Authority, GeorgiaGov Interactive team. Twice a year, GeorgiaGov Interactive hosts their GOVTalks conference series featuring important topics in web trends and technology in order to provide Georgia state agencies with key solutions and up-to-date resources. AccessGA, AMAC Accessibility Solutions, Tools for Life, and the State ADA Coordinator's office presented sessions on the importance of accessibility, what it means to be accessible and inclusive, and the small changes we can make to convert our work settings and web pages into accessible environments.